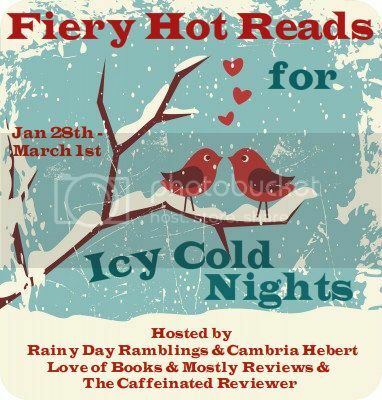 I am so excited to be participating in this awesome blog hop. I choose author Kaithlin Beves to help me with my post today. Kaithlin is the author of the Daughters by Zeus series and the first book is Persephone. For todays post she has written a quest post called “top five romantic gifts”. I spent my childhood curled up with a book, and a pen. If the ending didn’t agree with me, I rewrote it. I’ve always wanted to be a writer, and I spent high school and college learning everything I could so that one day I could achieve that goal. I graduated college with my BFA in English with a concentration in Creative Writing, and am pursuing my masters at the University of Georgia. My young adult fiction novel “Persephone,” and my short story “Siren Song” are available to buy in ebook stores everywhere. I also write for Athens Parent Magazine, and truuconfessions.com. I have also published several short stories. Kaithlin has writen for my stop a blog post about the top five Romantic Gifts! I think listing top romantic gifts is a bit of a misnomer. A real romantic gift demonstrates that your significant other gets you. It shows thought, and effort, and knowledge. Like in my story, Persephone gets an air plant necklace. It seems weird, but it’s her. Something that completely represents her (a flower) from both of her realms (all three with Hades’ addition of the pomegranate bead) that’s thriving. So these are my top five, but that doesn’t mean they’re anyone else’s. A real romantic gift is given with the recipient in mind. A star. You can buy and name stars. It’s kind of awesome. Granted, they aren’t stars you can spot with a telescope, and it doesn’t change their location name, but the idea is nice. You get a picture of your star, documents showing the name, and tips on how to find it in the sky. Dinner and a show. We have a fondue restaurant here that pairs with the local theater. So you get cheese, food, and chocolate (it’s like a girls best friend) then get a good seat to the latest broadway show. I saw Wicked like this and it was incredible. Surprise trips. My husband surprised me with a trip to the city we got married in for one valentines day. We had dinner at the same restaurant, hung out at the nice warm beach, and spent the weekend at the same hotel. It was very sweet. Glass roses. My confession? I kill plants. It’s a sad thing. Even roses, which are already dead die faster if they’re in my care. My husband got me a glass rose once because it would never die, and left it for me to find in my car after school. It was really sweet. A relaxing night in. Sometimes there’s nothing better than curling up on the couch with your significant other with fire in the fireplace, your favorite movie, and favorite dinner/snacks. Awesome top five romantic gift ideas…lets not forget giftcards or spending sprees at our favorite bookstores! I totally agree, you can never have enough books ;). My boyfriend likes to surprise me with some random book or tickets to a show/concert that I mentioned months ago! aww that’s so sweet. My boyfriend does buy chocolate or things like that to surprise me, but books or stuff I mentioned he usually forget, lol. A romantic gift would have to be something from the heart..As long as it does whatever the gift would be would have extra special-ness to it.. its the thought that counts!! Thanks for the giveaway!! I think flowers are nice, but I would REALLY prefer tickets to see my favorite hockey team play! I personally love getting chocolate, books or games :). Oh fondue and a show? I love fondue! Yum. I am going to google a glass rose now because they sound just lovely. Thanks for putting together such a fabulous post and for being a part of Fire And Ice Lola. I have seen these books around and I admit I am a sucker for Greek mythology! Well Kaithlin wrote the quest post. I just made the rest of the post. Usually I am not a fan of mythology and even I really enjoyed this series, so I am sure you wil like it. It really depends on the person, but maybe just buying a bunch of fan cozy treats and having a cozy, movie night in. Great post! I loved the ideas. I think it is very romantic to take someone back to your first daye or where you first met. Handmaking a card is also romantic. 🙂 Thanks for the giveaway. A romantic gift is something/anything that has special meaning to it, a well thought of present. Something that shows the giver took the time to think of you personally! I totally agree, as long as there is a special meaning or thought behind the present it is an awesome present. I don’t think you can go wrong with chocolates and a book. Especially if its one I’ve been telling Hubby that I want. Shows he’s listening, you know? Totally agree! I love chocolate :). Although my boyfriend doesn’t buy books for me that often. I usually tell my boyfriend what I want and he buys it for me, although he also suprises me sometimes. None. I hate romance, at least when it’s not in a book. Seeing people kiss just grosses me out. Something special and from the heart. The gift of time together. A romantic gift could be anything – it all depends on the couple. If he/she puts thought and effort in to getting something that the other person will really love, then it’s romantic. Cost is irrelevant! aww that is such an awesome present! It really is the thought that matters and if it is something the other person will love.